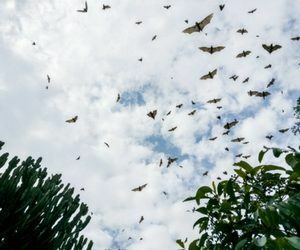 Having bats in or around your home can create the potential for severe problems for your family. Though an integral part of our environment, a bat’s home should never be inside of yours. They are known to carry and transmit a variety of different diseases that put you and your family’s well being at risk. As opposed to rats and other rodents who cause damage by chewing up vital structures in your home, bats wreak havoc through their waste, which is both highly toxic and extremely corrosive. The most surefire way to tell if you have bat activity is to look for their distinctive looking waste in your attic. Bat guano is small, black, and dry, and generally found in piles underneath where they sleep at night. Another common sign of bat activity is finding wet spots around entrances to your attic, or seeping through your ceiling. This is because bats generally void their bowels before entering and exiting a building. Critter Control® of Fort Worth recognizes just how vital bats are to the proper function of our ecosystem, which is why our bat control experts go to painstaking lengths to not only rid your home of the nuisance creatures, but to do so in a way that protects the life of the bat. Our technicians will keep you and your family out of harm’s way while safely relocating these important critters. If you have bats in your home, do not attempt to handle them on your own. Call us at 469.805.6267 with any questions, or to schedule your complimentary home consultation.